We walked further up the cliff towards the 14th century ‘cross’ that rises from its steps in front of the gatehouse. 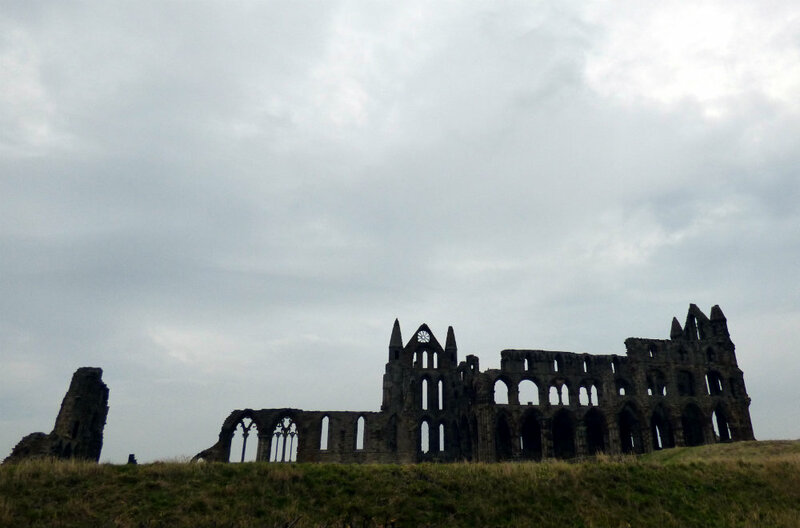 The Abbey, of course, was closed by the time we got there…if, indeed, it had been open at all on that bleak January day. Situated high on the cliff it is an imposing sight from anywhere in the town and it is impossible to hide the ruins behind a stone wall… so at least we could look and, with a bit of judicious clambering, get a few photographs. I know it well. I spent many days here as a child and teenager. There is something about the place that has always drawn me back, as if the veils of time slip away and I see the days of old. 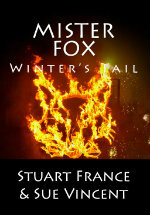 But it is not to the grand ruins of the 12th century that I am drawn, but to an older time. There was once a roundhouse on this headland, then the Romans tarried awhile, leaving the traces of their passing. But it wasn’t until the 7th century that the abbey came into being. 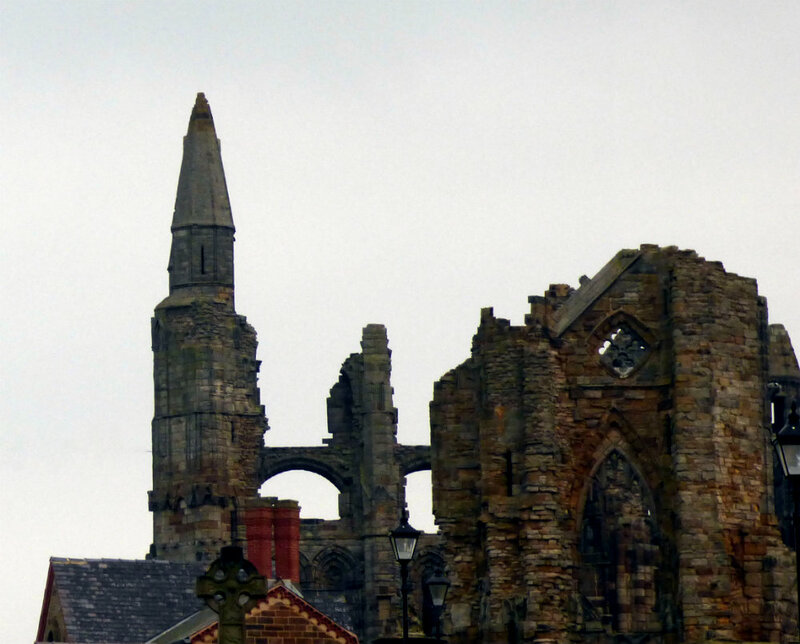 The original abbey was a wood and thatch affair founded in 657 AD by King Oswiu of Northumbria. He installed Hilda as its first abbess, a daughter of Hereric and his wife Breguswith of the Deiran royal house. Hilda had been raised a Christian and when she was 33 she decided to join her sister in the convent at Chelles Abbey in Gaul. 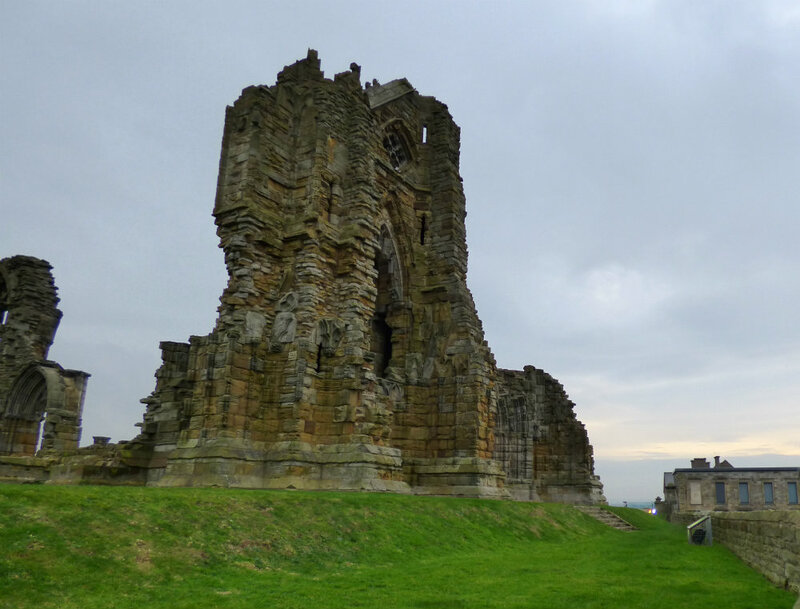 Instead she was called by Bishop Aidan of Lindisfarne… later St Aidan… to come north to the settlement at Whitby… then called Streoneshalh… to become a nun and Abbess. The monastic community at Streoneshalh was formed of both monks and nuns, living separately but sharing a communal life and worship, following the model of Ionian Christianity and the Celtic Church. 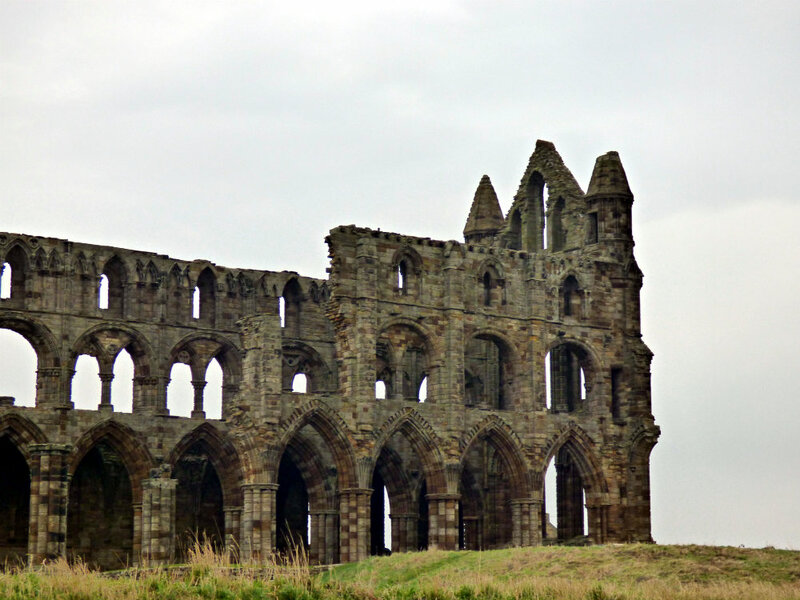 As abbess, Hilda cared for the many small houses, home to two or three, the communal lands and possessions and those who worked them. 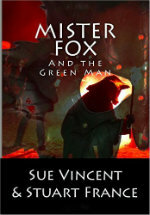 It was here she met Cædmon, a simple man who cared for the animals. He dreamed an angel and was inspired with song; this gift Hilda fostered. From the Venerable Bede we learn that Hilda a strong character. Her name means “battle woman” and her energy was notable. She was skilled as both administrator and teacher, caring alike for the humble and the great. Her wisdom and authority were much respected and while kings sought and valued her advice, the small folk loved and revered her. 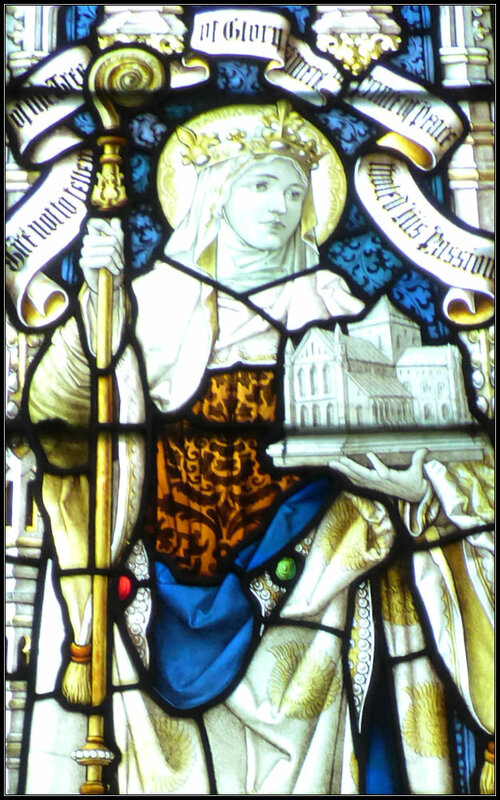 Bede wrote of Hilda, “All who knew her called her mother because of her outstanding devotion and grace”. 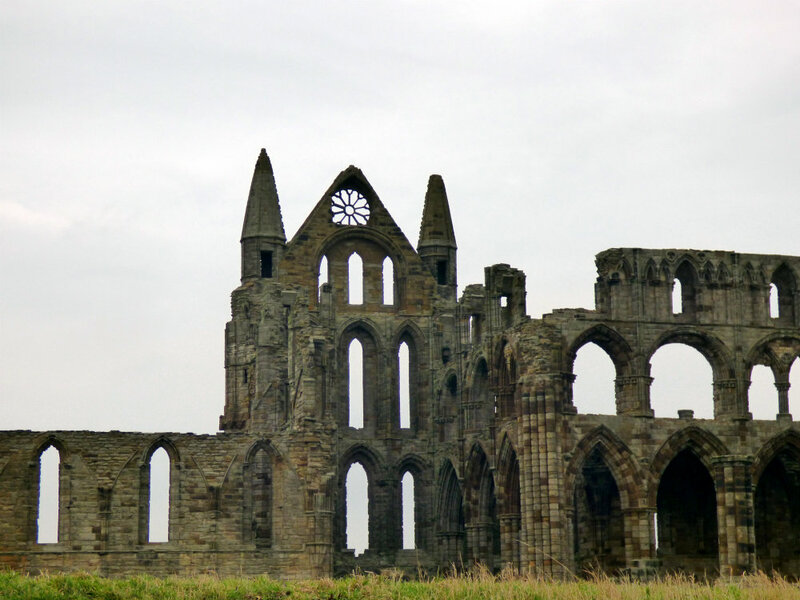 When the Synod of Whitby met to discuss whether the Church should follow the Ionian or Roman ways of Christianity, Hilda accepted the change and brought her community quietly into the Roman fold. 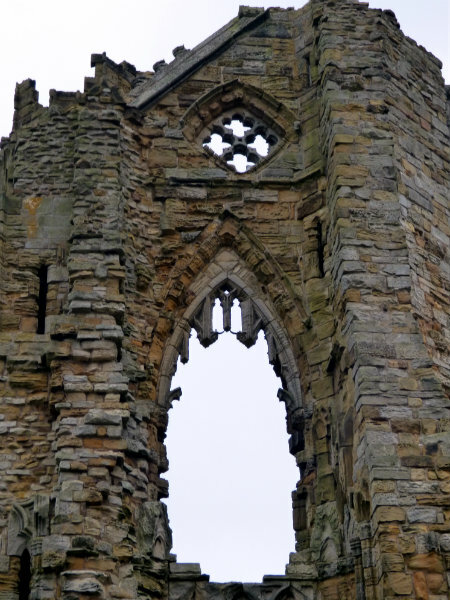 She remained abbess until her death in 680 AD at the grand old age, for those times, of 66 and so revered was she that even now the gulls dip their wings in respect, it is said, as they fly over her Abbey. Of course, there are other legends too and I have seen her ghost myself… or so I was told; a shrouded shape in one of the high, ruined windows… But then again, I am also told it is an optical illusion caused by the sun through the ancient tracery. 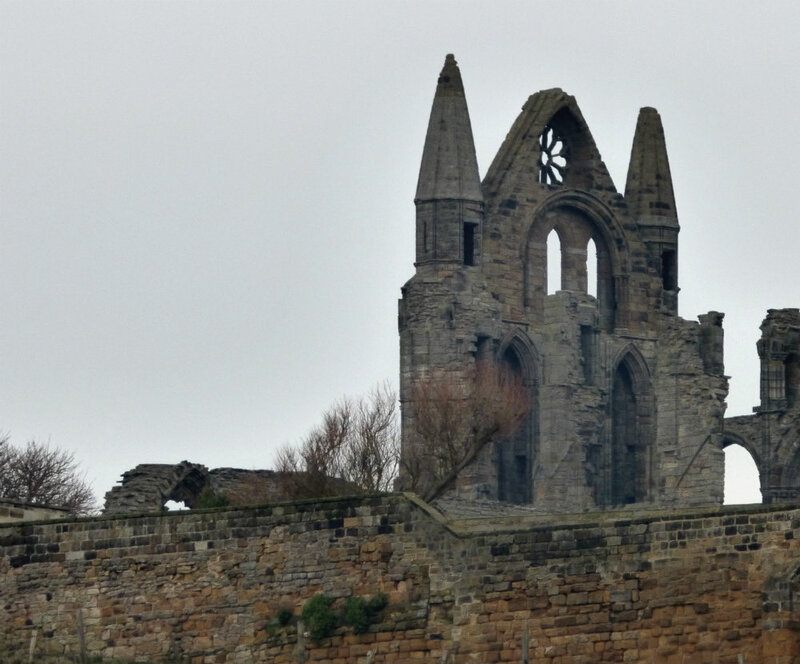 Many have seen it, as well as the unquiet spectre of Constance de Beverly… a nun from the later Norman Abbey, immured in the dungeon for breaking the vow of chastity with a young knight. 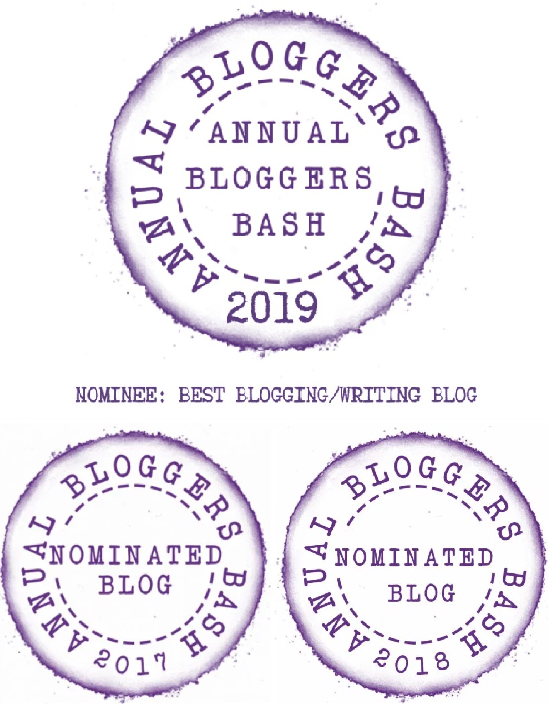 This entry was posted in adventure, Photography, scotland road trip, travel and tagged Bede, bonfire night, fossils, snakestones, St Aidan, St Hilda, Whitby Abbey. Bookmark the permalink. Amazing pictures. You must feel like you’re walking through history. We are 🙂 All of us. I was going to suggest that. I look at those pictures and I’m transported back in time. It is a n odd thought, isn’t it, that we are each writing history with every step… even though we don’t realise or notice. Some few will make the history books, most of us won’t… but the story is ours nonetheless. I could spend a lifetime walking through these places on earth and never tire of them. Me too… I pretty much have so far and still get as excited as a child. The detail in the stained glass is remarkable. 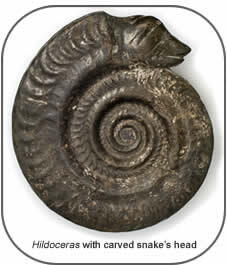 There looks to be ammonites on her robe. Is it known when the Abbey fell to ruin? nave fell in 1762 and the tower in 1830 and the shells of a raid by a German battleship in WWII left the abbey as we see it today. The rise and fall of greatness. Thanks for the details. Those pictures of the ruins were very evocative of another place and time. And of course, I love any story of a strong woman! Hilda was certainly one of those, Noelle to judge by the history that has survived to us! 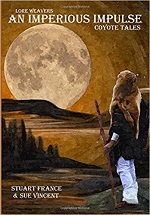 Druids, the serpent power of the earth… yes, there are similar stories for many of the saints. I hadn’t missed the link with St Patrick who seems to have been part of this journey.